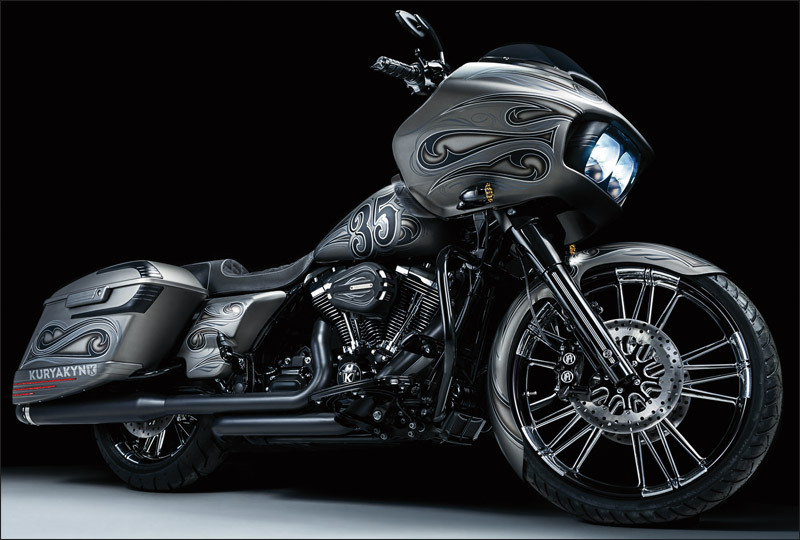 SOMERSET, WIS, MARCH 17, 2016—The Rock, Rumble & Rebellion Tour officially kicked off at Daytona Bike Week with Kuryakyn® unveiling the Sturgis Buffalo Chip® 35th anniversary Harley-Davidson® Road Glide® and Epiphone® Sheraton II guitar. The stage is now set for an epic celebration honoring 35 years of freedom, motorcycles and music at the iconic venue. The stunning bike and guitar will be displayed at the Buffalo Chip throughout the 35th anniversary celebration held August 1-14. At the culmination of the Rock, Rumble & Rebellion bash, the one-off commemorative bagger and matching six-string will be up for private sale. Bahn™, Jim Nasi Customs, Mustang® Seats, Performance Machine®, Progressive® Suspension, Roland Sands Design®, and Xtreme Machine®. 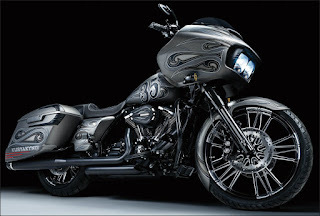 Kuryakyn collaborated with renowned custom shop Gilby’s Street Dept. (River Falls, Wis.) to craft a paint scheme that embodies the natural rhythm and artistry behind music in order to bring the Rock, Rumble & Rebellion theme to life. Various color-matched Kuryakyn parts seamlessly blend in with the smooth satin graphite base coat. Inspired by the Epiphone Sheraton II, Gilby laid down line after line of intricate pin striping that provides a pure, organic flow throughout the entire build. 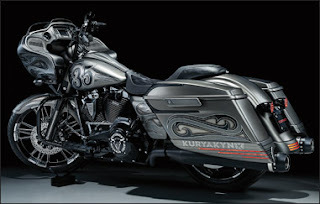 The horsepower is supplied courtesy of Kuryakyn’s Performance Division, Crusher. TC-24D Cams, Easy Install Adjustable Pushrods, High-Performance Lifters, plus the all-new Maverick Pro Air Cleaner and Crusader 4” Slip-Ons put approximately 93 horsepower at the rear wheel, with 113 ft/lbs of torque. 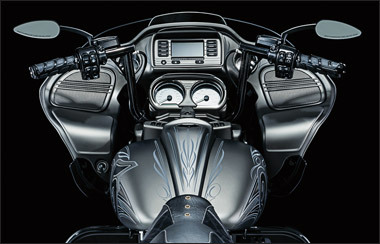 The Buffalo Chip 35th anniversary Road Glide is a true performance bagger designed to rip up the streets in style. Kuryakyn and the Buffalo Chip are also excited to announce a media partnership with Baggers magazine of the Bonnier media group. The 35th anniversary Rock, Rumble & Rebellion Road Glide will be featured in the August issue of Baggers, which will be on newsstands during the annual August rally in the Black Hills.